A home made time capsule thought to be over 220 years old was opened in Boston, Massachusetts, USA earlier this month. 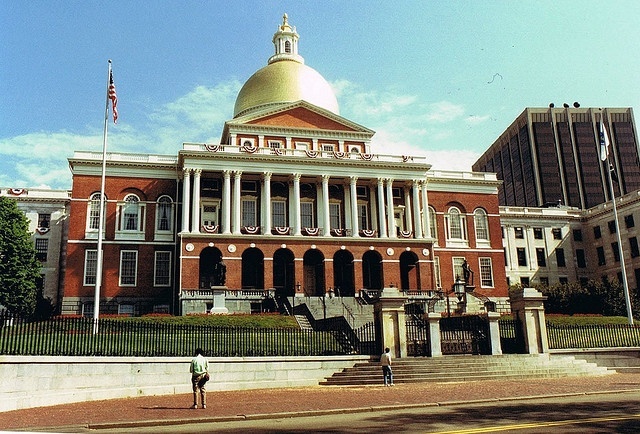 The brass box was originally buried in 1795 in a cornerstone of Boston's State Capitol Building. It is thought that Paul Revere, the famous American Patriot, silversmith and metalworker was responsible for placing it there, along with US Founding Father Samuel Adams. The engraving is likely to be of special interest to some, as Revere's work is very highly prized in the United States. Samuel Adams, for his part, was a leader in the movement that ultimately became the American Revolution, and also served as Governor of Massachusetts in the 1790's. Many historians consider him to be the father of the American Revolution. It is believed that the box was first discovered in 1855 and that its contents were disturbed then before being reburied. As a result of this earlier opening, some of the coins had suffered erosion. However, for the most part, the capsule's contents appeared to have aged fairly well. Marcel Comeau, Executive Director of the Massachusetts Archive and Commonwealth Museum, told local news affiliate wsiltv.com that, "We as custodians have an awesome responsibility, the protection and preservation of these materials. They've been entrusted to us by generations past, so generations in the future can see them as well,"